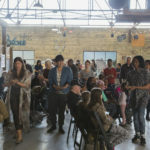 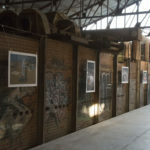 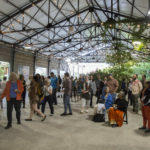 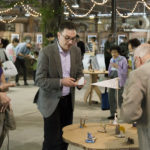 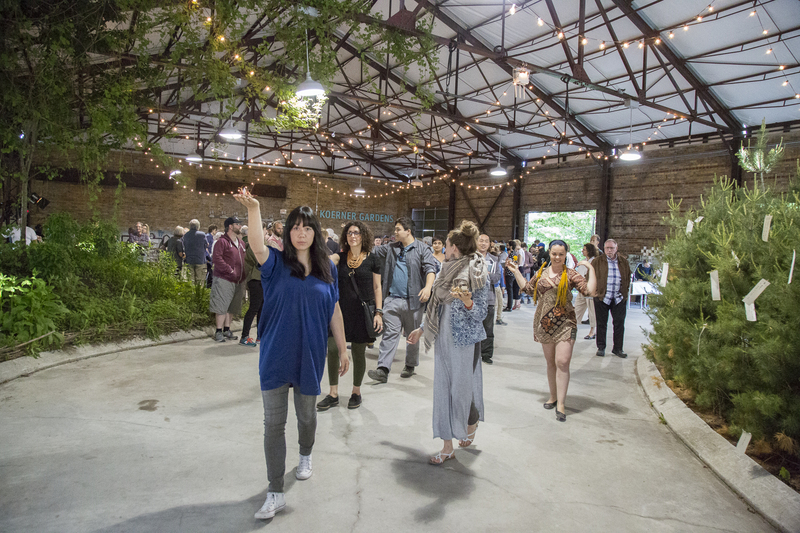 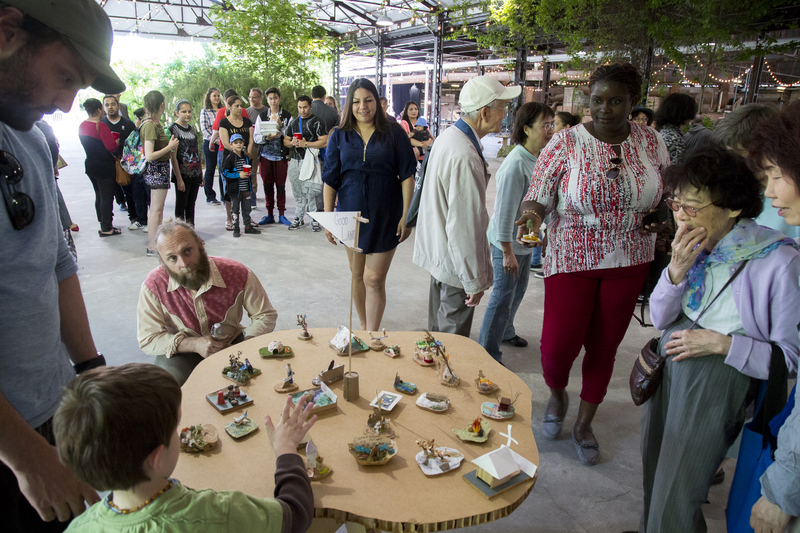 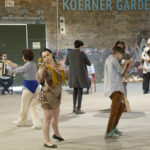 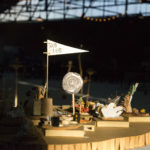 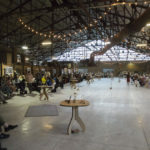 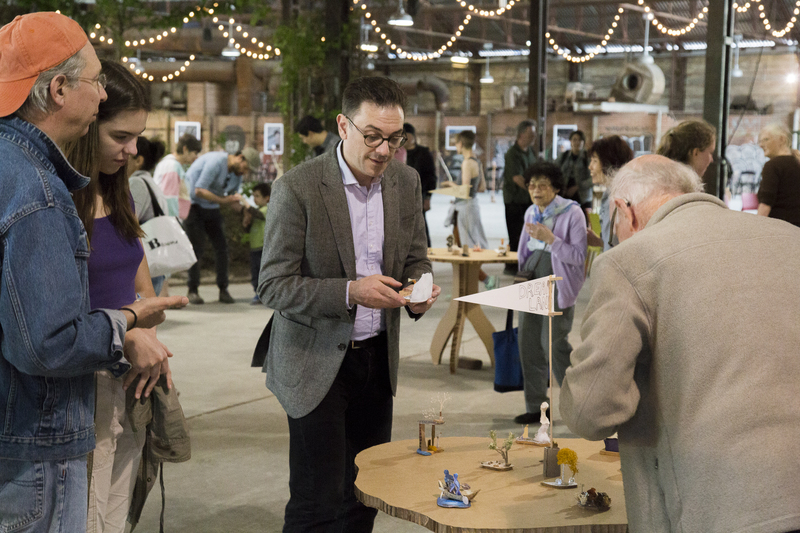 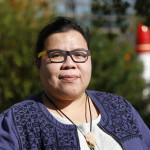 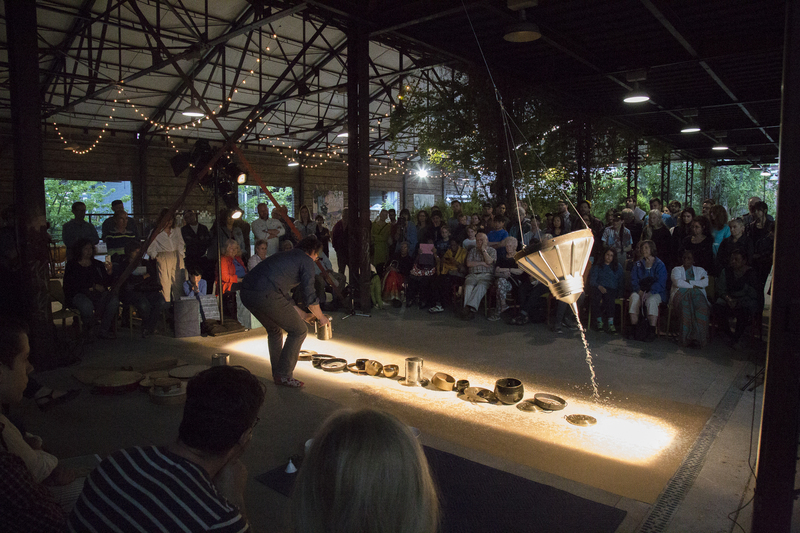 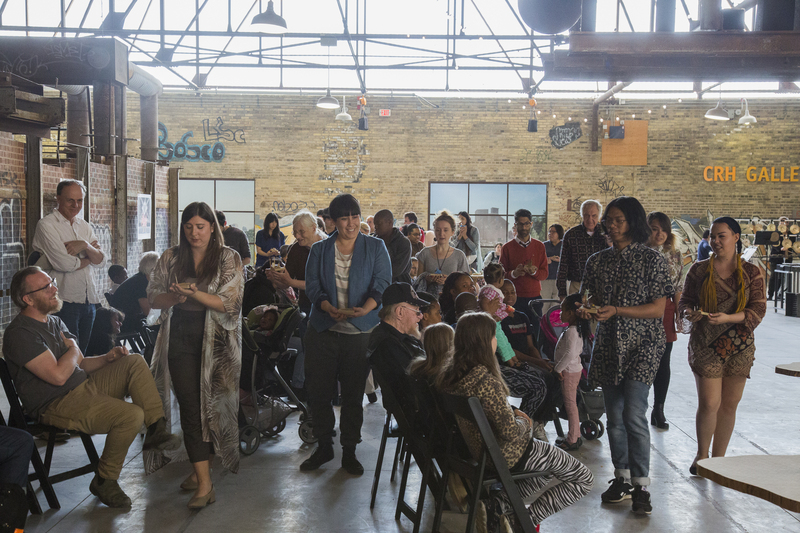 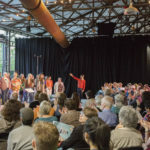 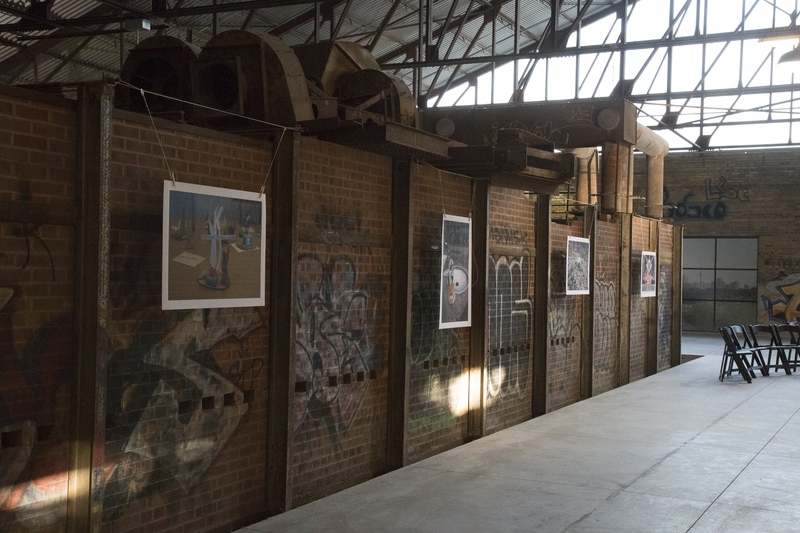 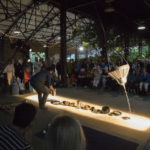 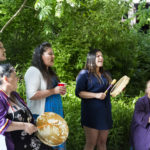 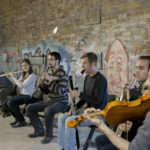 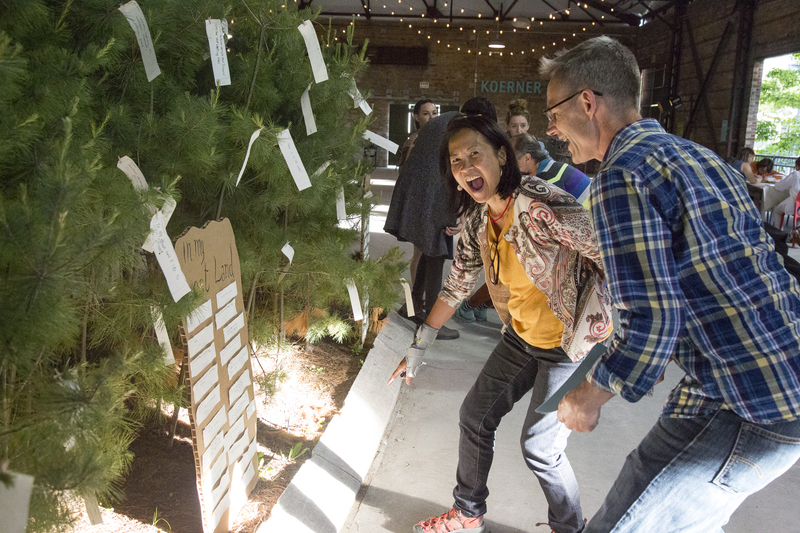 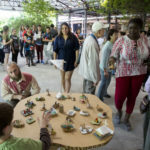 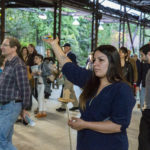 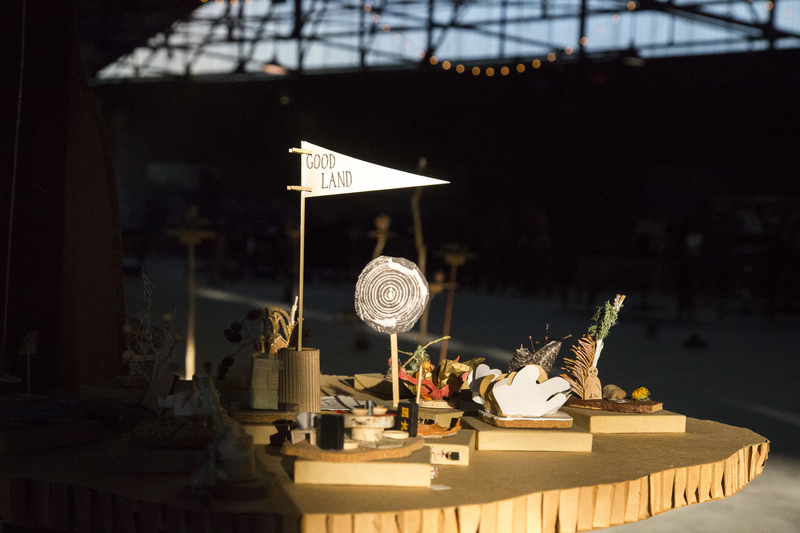 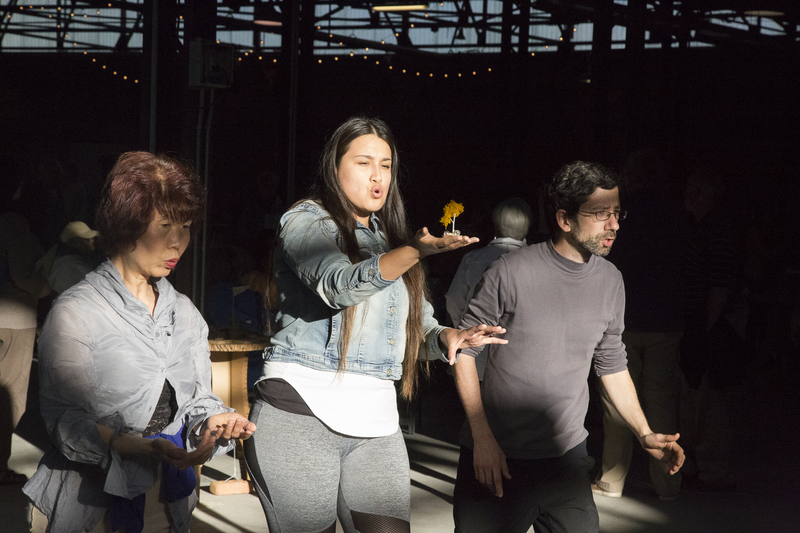 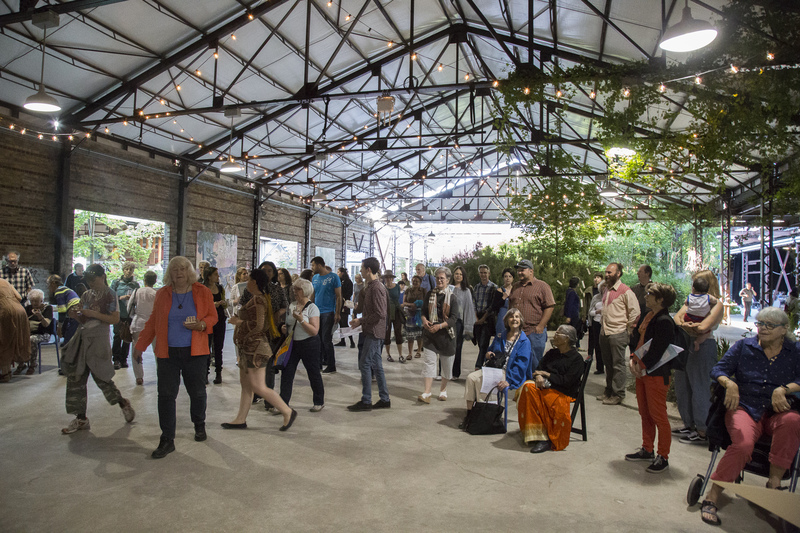 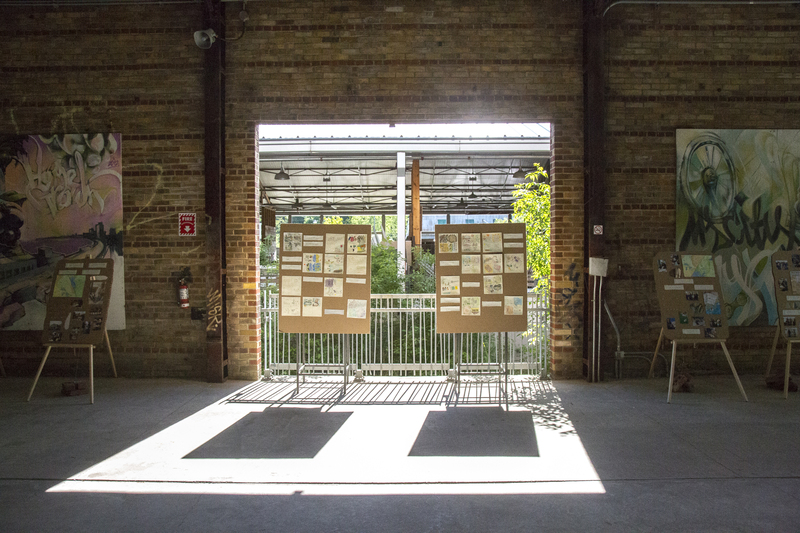 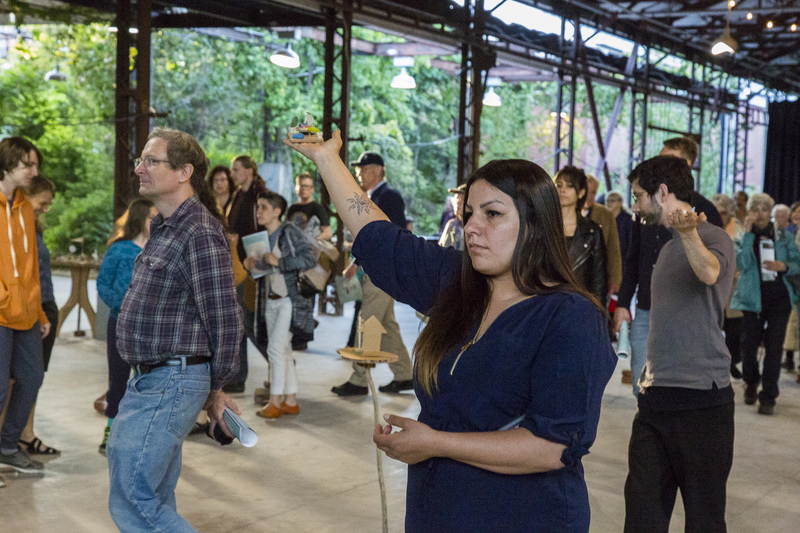 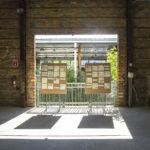 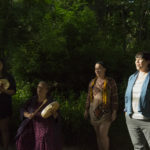 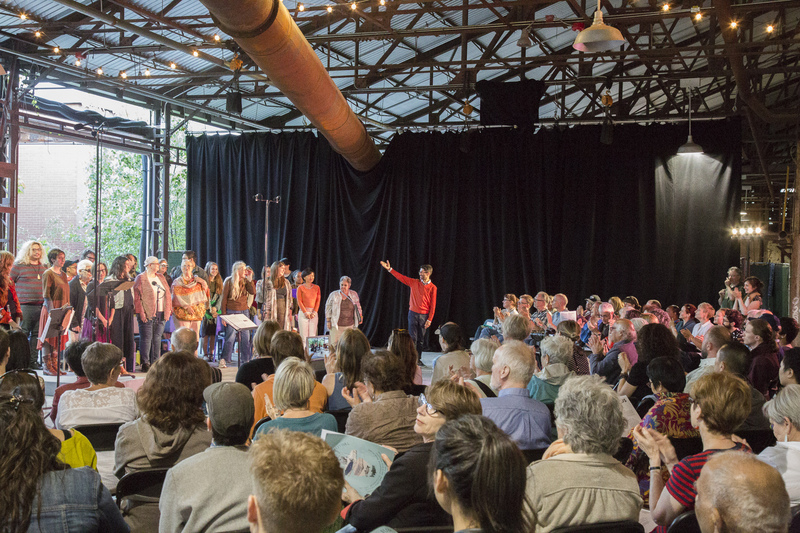 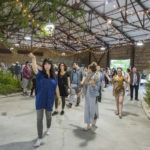 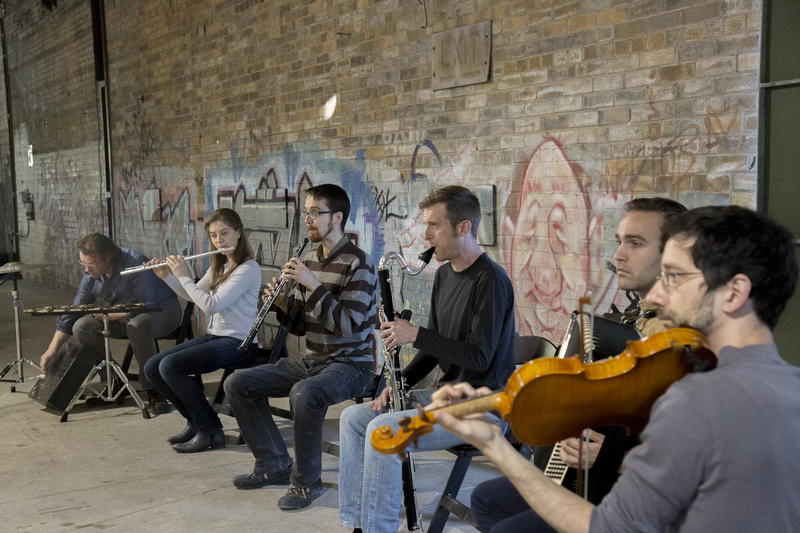 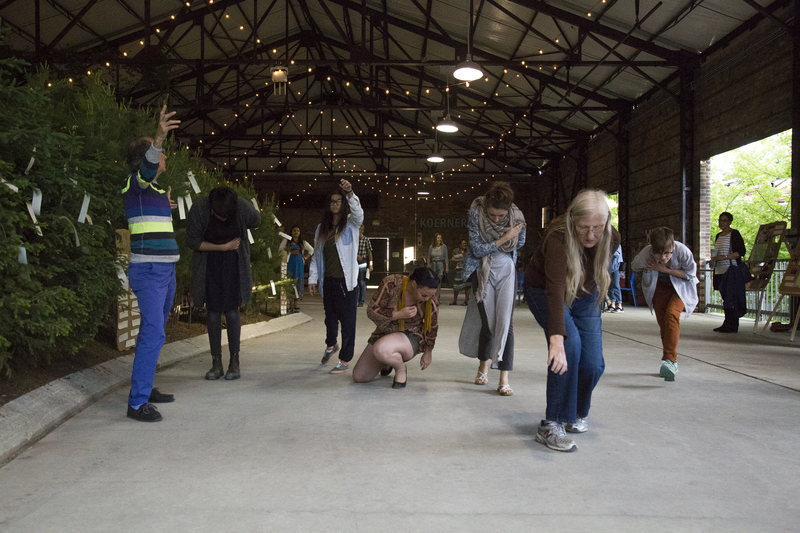 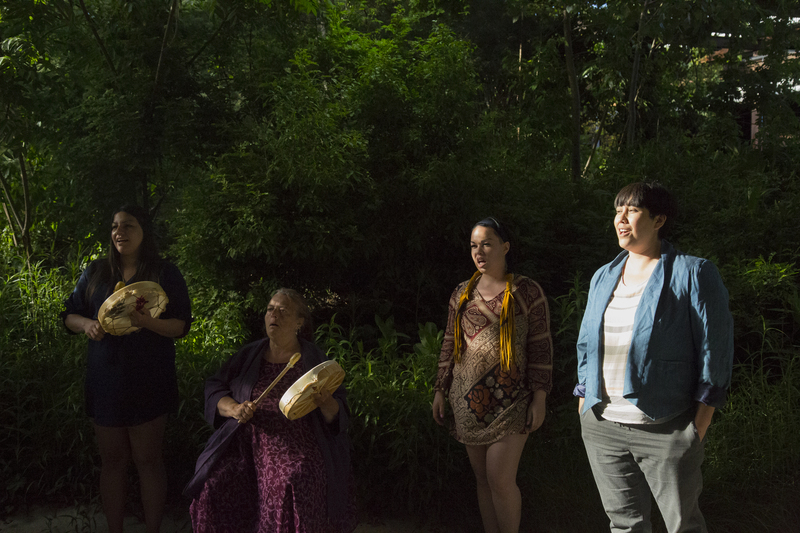 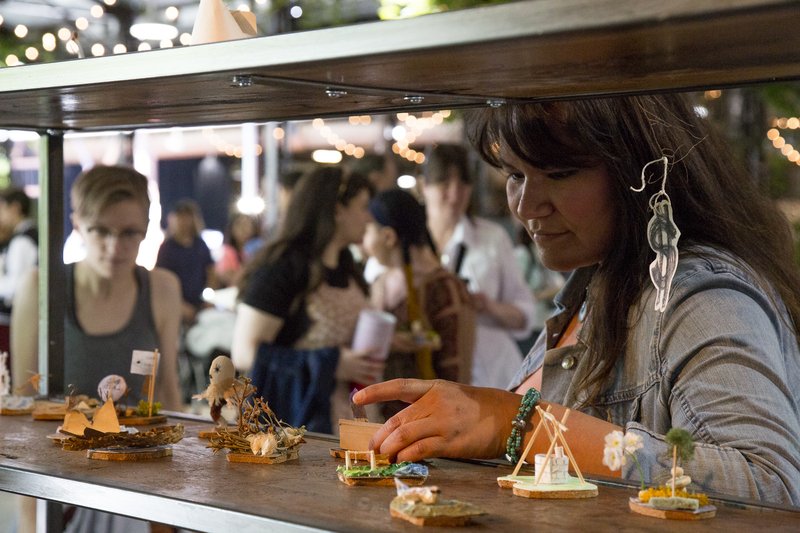 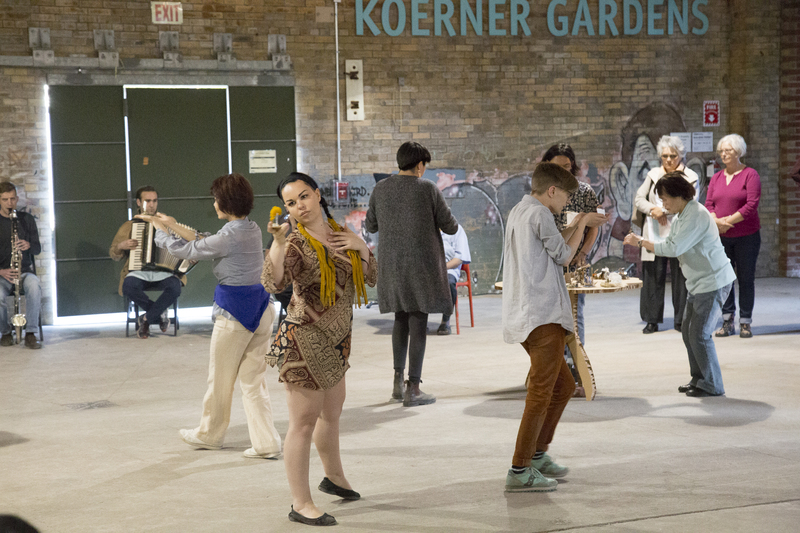 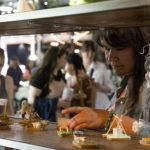 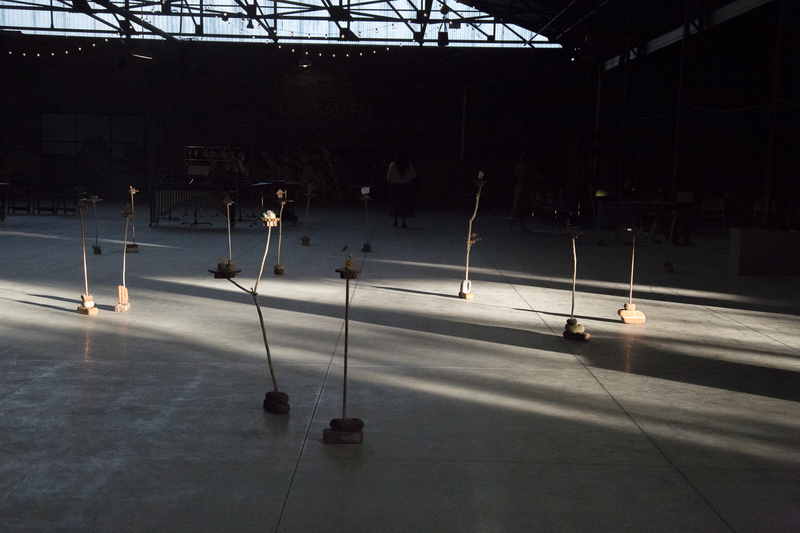 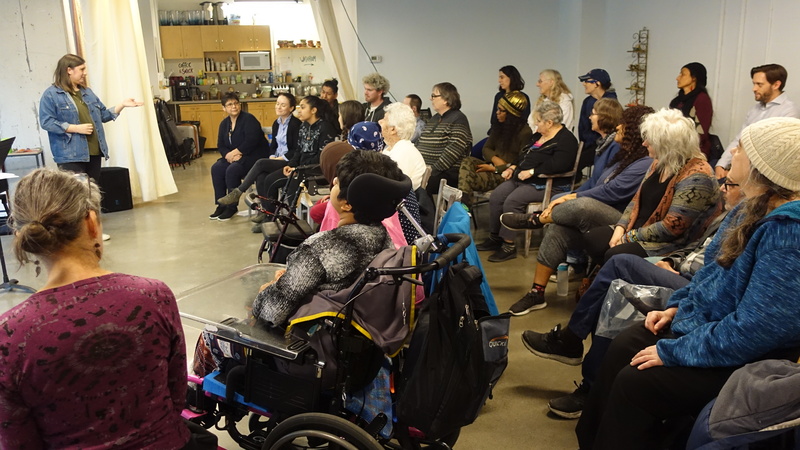 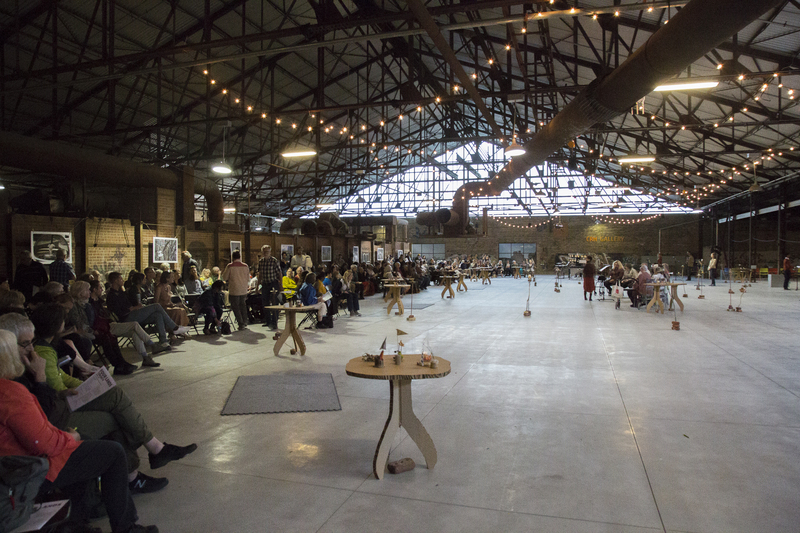 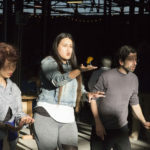 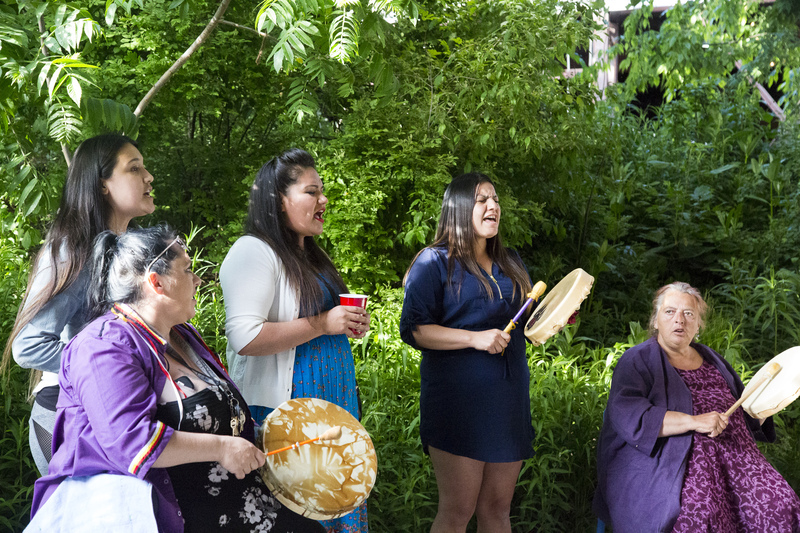 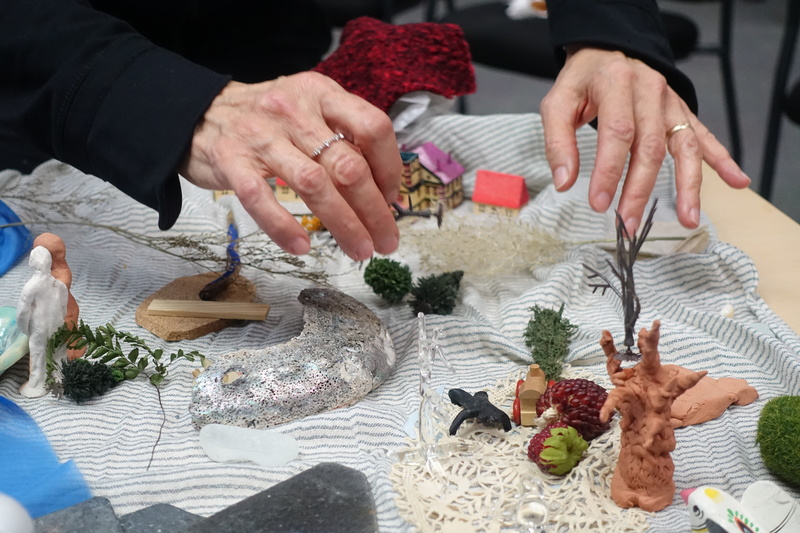 In Spring 2017, as part of Jumblies’ Touching Ground Festival, Four Lands took up residency at the Evergreen Brick Works, with a two-week period of public workshops and a 1-day (June 3) installation and performance in the CRH Gallery and Koerner Gardens. 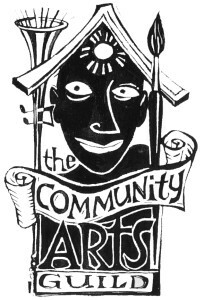 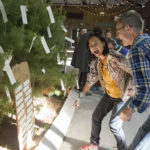 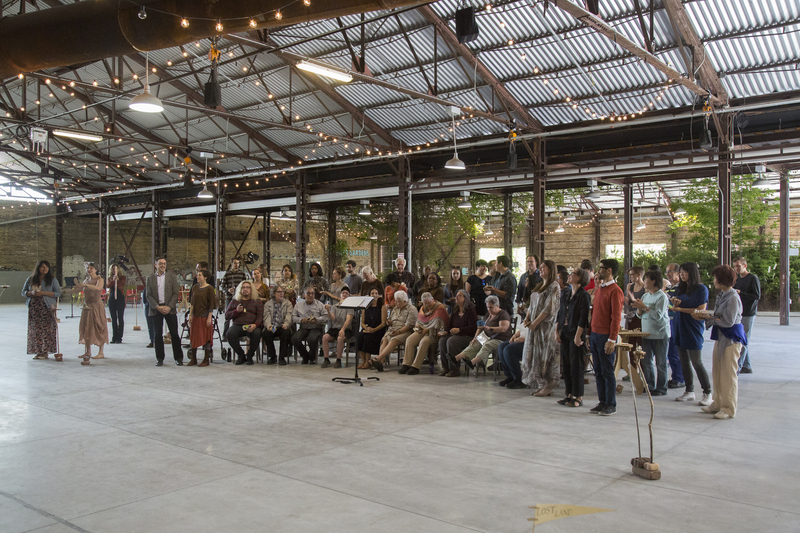 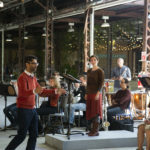 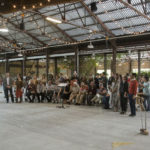 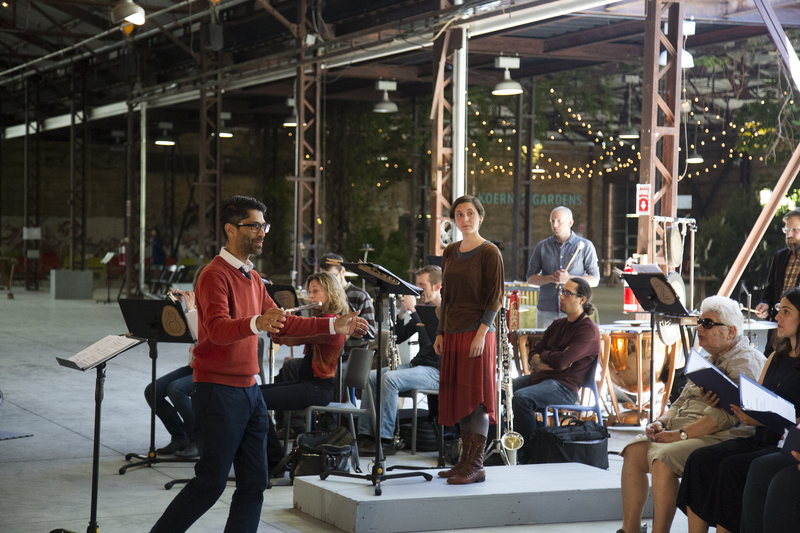 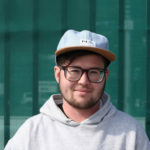 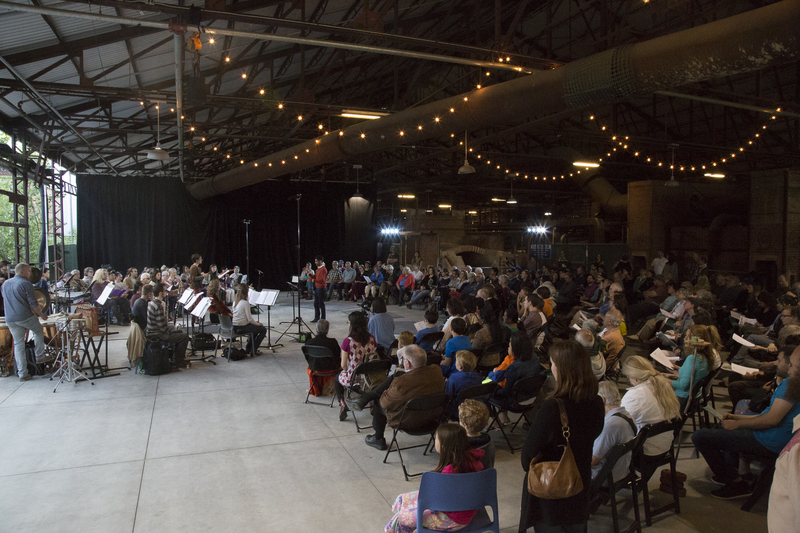 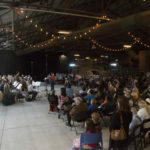 For this event, Jumblies partnered with Continuum Contemporary Music to commission and present two new musical works responding to the Four Lands material: one composed by Jason Doell (voices dangle like bells) and the other by Juliet Palmer (Quarry). 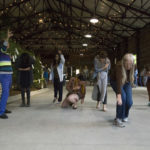 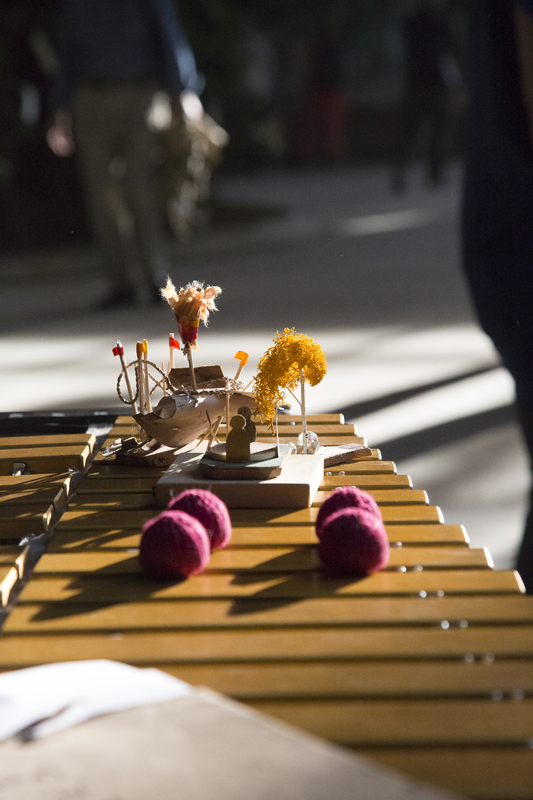 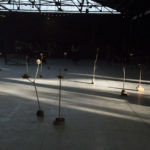 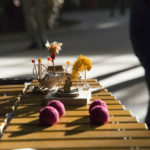 The performance also included Spill, a pre-existing percussion piece performed by Ryan Scott, and a structured and participatory improvisation by Jumblies’ artists and participants.